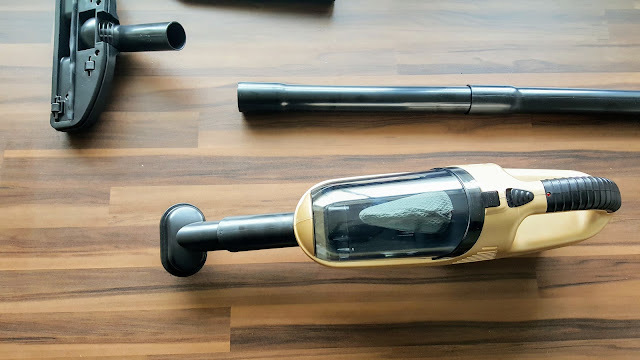 In short, the long collapsible dust pipe makes it a very useful vacuum in home for a prolonged period of time without breaking your back. 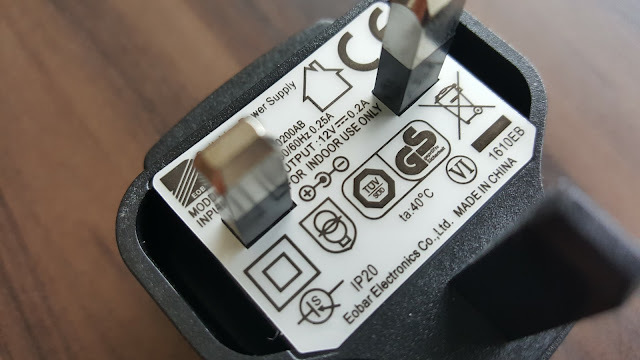 Cordless function is a bonus, you don’t have to worry about plugging into power sockets too. 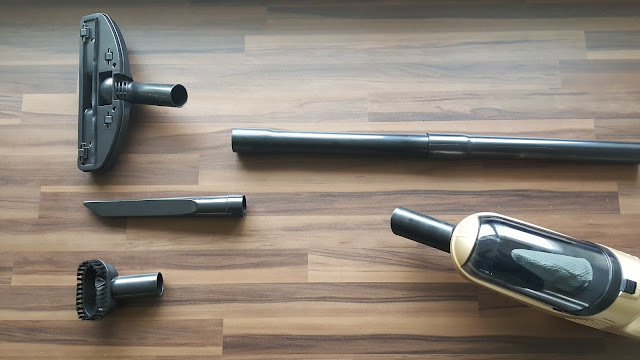 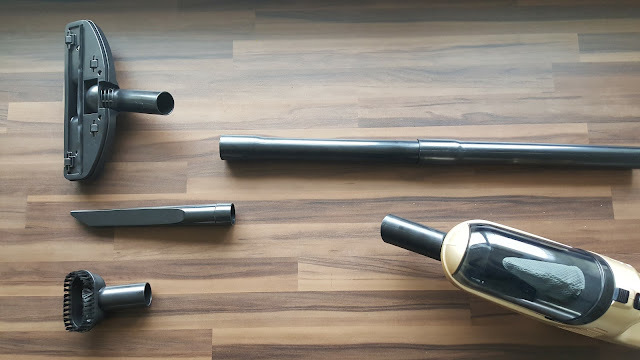 Extendable tube is the highlight of the cleaner, as it makes the job lot easier without the need of bending down or climbing up on to ladder or stool. 3 Separate attachments are included that covers most of your needs. 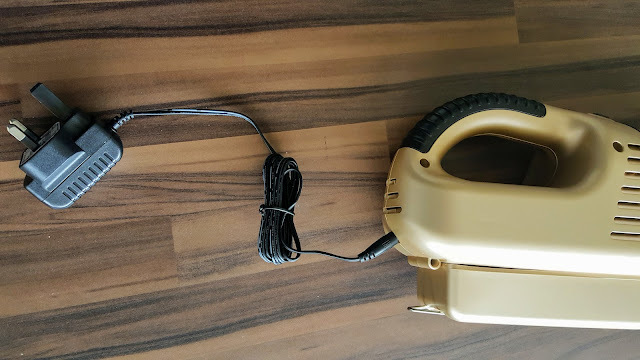 I’ve used the small mouthed brush for cobwebs from ceiling, sand dust from wooden floor. There is another small brush in the pack, which is handy for picking up hair and small bits from carpets or carpeted floor. 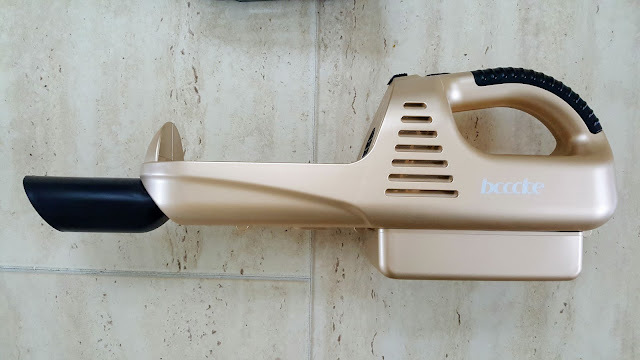 The large brush can be used for mop large areas, though I’ve not used it much. 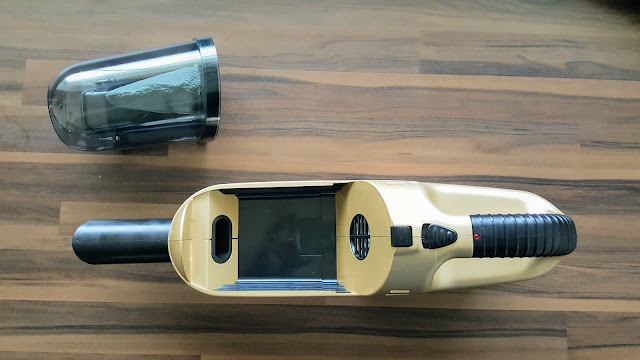 In car, the Vacuum cleaner is handy due to the cordless nature, though an inclusion of flexible tube would be a great help to clean under the seats. 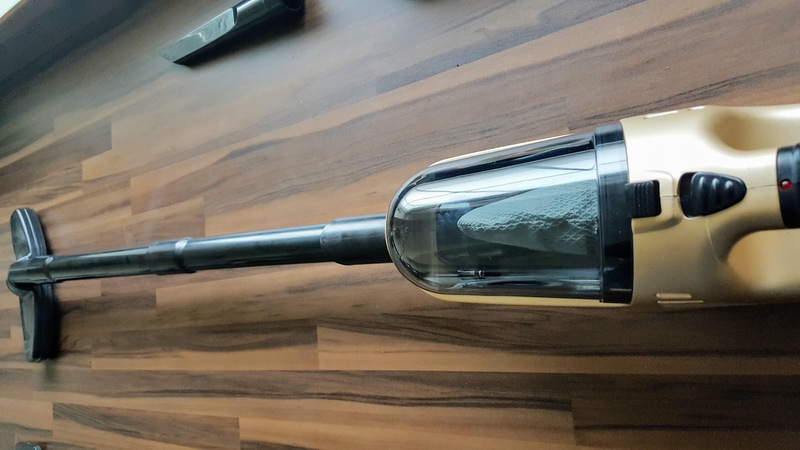 Suction seems to work just fine for typical dust particles, food crumbs, hairs, etc. A single run do the trick most of the time. 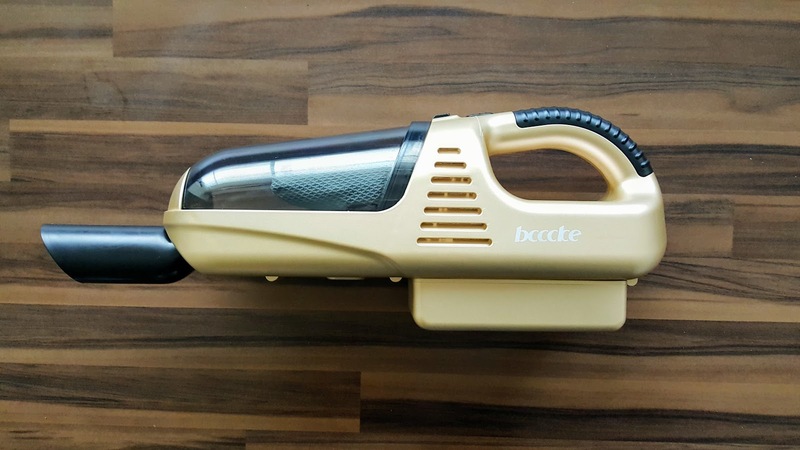 One single charge is enough to clean your car or cleaning your stairs, ceiling or corners of your room. 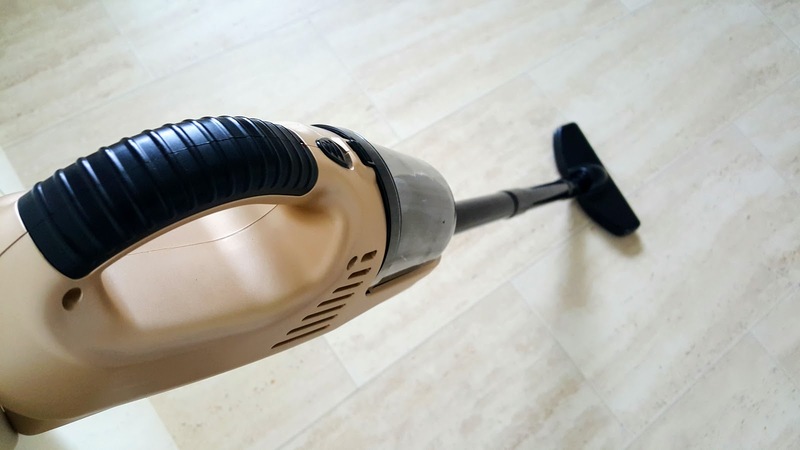 For a full house clean, you may need to recharge in between. Comes in the box, the Vacuum cleaner, long tube in 2 sections and 3 brush attachments. Charging adapter gives 12V output and the battery has 7.2V, 60W - 1800MA power. 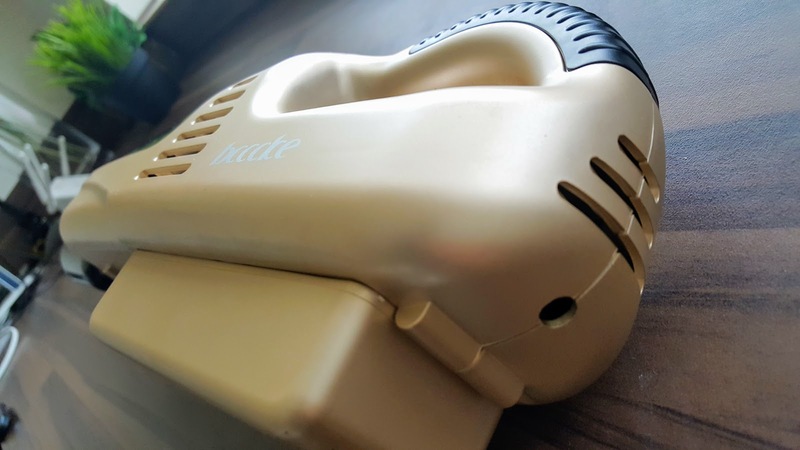 The unit is in gold colour and dust compartment can be separated easily with a single button push. Half of the section of Vacuum is transparent, so you can see what is going on and how much dust it is collected. 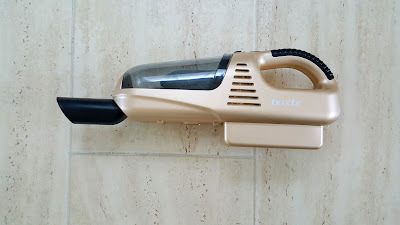 Slightly heavier than normal handheld vacuum, still comfortable to hold for longer periods. 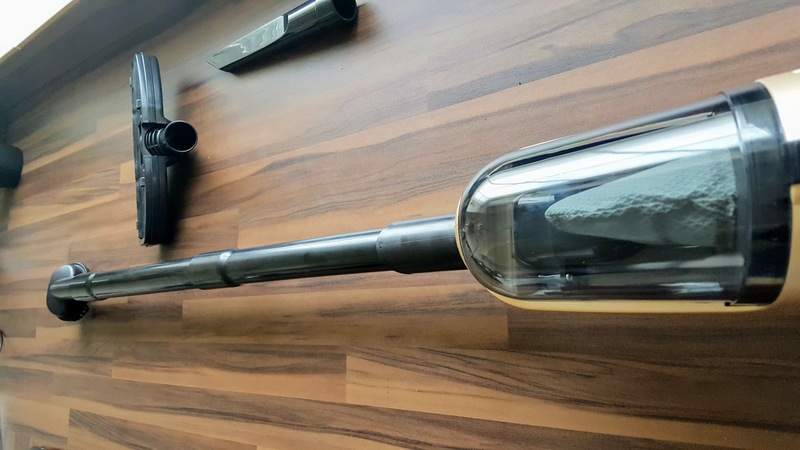 Easy to collapse down into small unit, which is handy to keep the unit inside the car boot or kitchen cupboard. 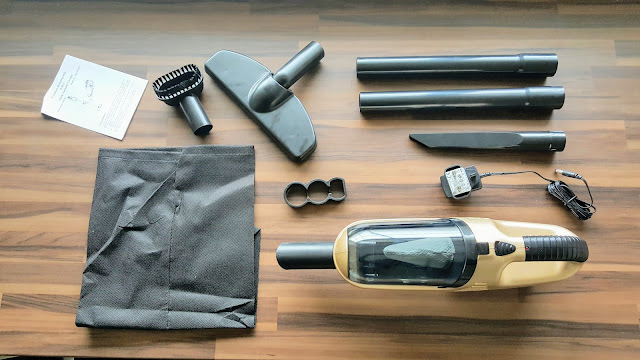 Overall a simple and functional Vacuum for Car and home. 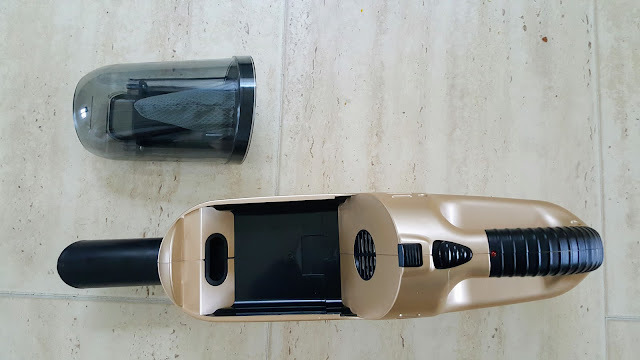 Please do check out the pictures to see how it looks and what you will be getting. 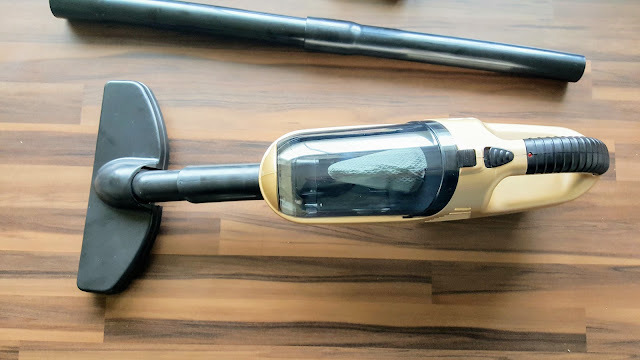 Seller supplied this Vacuum cleaner for usability test and opinion shared is based on my own experience and testing environment / equipments.